Manchester City could contemplate nothing but victory at the start of a week loaded with significance for the Premier League title race - and Arsenal's disappearing act ensured they tightened the pressure valve on Liverpool. Liverpool's draw with Leicester City at Anfield meant City did not receive maximum punishment for their shock slip at Newcastle, but manager Pep Guardiola still had to accept the brutal reality that they had fallen further behind in a battle where margins for error are now almost non-existent. City could not falter again and the defending champions produced a measured response against an Arsenal side seemingly intent on illustrating the scale of manager Unai Emery's rebuilding programme. The scenery will shift around several locations this week - starting with Liverpool's visit to West Ham United on Monday with their lead now only two points - and no-one was even attempting to disguise the importance of the next seven days. They have the capacity to shape the title pursuit and the picture may be in much sharper focus by the time the next acts have been played out. And there is one central character who must not be ignored away from the two who top the bill. Quietly, but with great spirit, talent and resilience, Tottenham have delivered a reminder that they are right in this title hunt. They may be missing the talisman Harry Kane but two late wins against Watford and Newcastle showed their resolve. Liverpool can strengthen their grip with victory at London Stadium but at least City have posed the question to Jurgen Klopp's team, who were unusually jittery against the Foxes in midweek. Manchester City's Ilkay Gundogan delivered a blunt message as he said: "We know we are going into a crucial week and to start well against such a team as Arsenal is important. "Maybe chasing is a bit more difficult because you don't have the gap between yourselves and the others. When you have the gap, confidence increases. Now we have to look at what Liverpool are doing. "Obviously we can't deny that Liverpool are having a great season and have incredible players. It's going to be an exciting few weeks." City will look to their own former title-winning manager Manuel Pellegrini to galvanise a West Ham side wounded by FA Cup fourth-round embarrassment at League One's bottom club AFC Wimbledon and against Wolves in the league. Liverpool, with just one league loss - against City - this season, will have the confidence of leaders before Guardiola's side return to action at Everton on Wednesday. Klopp's team will not waste too much time hoping for a favour from their neighbours, who are in disarray after losing 3-1 to Wolves on Saturday - and have an embattled manager in Marco Silva, whose record against the top six clubs is little short of horrific. In 19 games against Liverpool, City, Spurs, Chelsea, Manchester United and Arsenal, Silva has won only two games while conceding 50 goals, meaning Klopp may need to look elsewhere than Goodison Park for assistance. Guardiola will have been delighted with City's response to the Newcastle loss - especially as they once again failed to hold a first-minute lead given to them by Sergio Aguero. Laurent Koscielny quickly drew Arsenal level but Aguero's 14th hat-trick for City sealed the deal. City have lost to Crystal Palace, Leicester and Newcastle after going a goal up, so their reaction to the Koscielny setback was a test of nerve in some respects, which they passed. And Aguero's world-class display only underscored how important he will be in the crucial next few weeks. This is a remarkable footballer - he now has 157 goals in 227 league appearances for City. Players have come and gone at Manchester City since the 30-year-old Argentine arrived for a bargain £38m from Atletico Madrid in July 2011, but this master striker remains untouchable as their main source of goals. Aguero's instincts make him the perfect spearhead for the creators such as Raheem Sterling, David Silva, Bernardo Silva, Gundogan and Kevin de Bruyne. If Spurs always feared losing Kane to injury, then City would feel the same about Aguero, as Liverpool would about Mohamed Salah. Aguero has been directly involved in 27 goals in his past 15 home starts in the Premier League, with 22 goals and five assists. He has scored the two quickest goals in the Premier League this season inside the past seven days. He is the complete attacking package. Liverpool can strike another blow on Monday but City's return to winning ways delivered a reminder of their close presence and there remains a strong strand of belief running through the side as they face to huge games at Everton then back at Etihad Stadium against Chelsea next Sunday. Arsenal were compliant, effectively missing in action in the second half as they looked like a team that had given up hope once Aguero finished off a beautifully constructed move between Gundogan and Sterling just before half-time to restore their advantage. City have not given up hope of chasing Liverpool down and this was a reminder of their quality, led by the peerless Aguero. 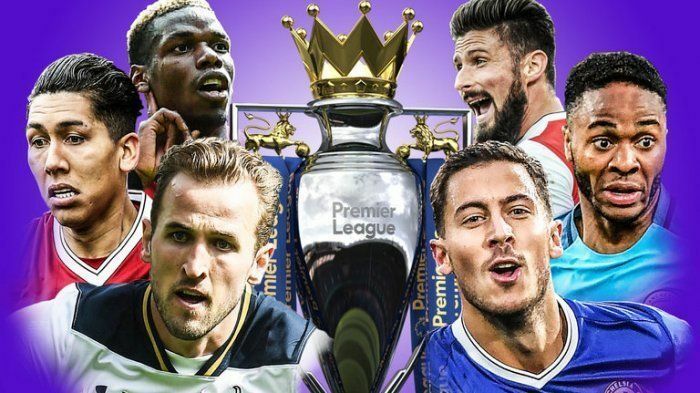 The title race is between three teams - and the champions are back in the mood to fight to hold on to their crown.